Struggling with poor wireless signal and range? You’re not alone. Despite the steadily increasing range of wireless routers, many obstacles still exist that can limit the range and strength of your wireless network. There are simple solutions you can take, many of which are thankfully free of charge. Before you throw in the towel and spend far more than you have to on a professional, here are 10 DIY tips to improve wifi signal and strength. Why do I have weak wifi signal and strength? Despite its ubiquity in our lives and homes, wireless internet technology is comparatively young. Although the first functional “wireless internet” was showcased in Hawaii in the 1970s, it was decades before wireless networking technology became powerful enough and cheap enough to be viable in the home. As wonderful as wireless networks are, they have significant limitations due to how they work. All wireless signals and networks utilize radio frequency transmissions, just like your car or home radio, or over-the-air television. However, the signals used by wireless networks exist on frequencies somewhere between those your microwave naturally produces, and those that radio stations are blasting out to your car. Given your wireless network is broadcasting using radio waves, it can suffer from all of the same limitations that you’ll typically find with other types of radio signals. As such, your home wireless network may lack the proper strength or range because of the same issues that impact other forms of radio technology: obstacles that cause reduction in signal strength, interference from other devices sending radio waves, weaker signals sent by older and less efficient wireless equipment, technical issues with the receiving device can make the signal appear weak, or a lack of power from the wireless router resulting in a weaker signal. The Institute of Electrical and Electronics Engineers (IEEE) sets the standard for which radio frequencies wireless networks are allowed to use. Currently, the wireless networking equipment in your home may be operating in either the 900 MHz band, or the 2.4, 3.6, 5, or even 60 GHz frequency bands. Most home routers currently operate in the 2.4 GHz or 5 GHz bands. Before trying to solve your issues with range or weak signals, check to determine which radio frequency band your wireless router or other networking equipment is utilizing. This bit of knowledge may help you more easily troubleshoot your range and strength issues. Ultimately, it could prove quite difficult to determine the exact cause of your poor wireless network strength or range. We suggest you try each of these steps in order before resorting to purchasing a new wireless router. However, if none of the free DIY options work, purchasing a new router may well solve your network issues. Here’s a “rule of thumb” to go by: your average wireless router has a range of 150 feet (46 meters) indoors and 300 feet (92 meters) outdoors. While this is typically enough range to cover the average house or apartment, different obstacles and signal interferences can cause that signal to degrade before it reaches different parts of your home. Where you place your router can have a significant impact on whether you’re seeing the best possible signal coverage. Some of that depends on the type of router you have and its signal strength. Regardless, if you have your wireless router tucked away into your home’s corner office in the basement or the top floor, you may be dealing with far more signal strength and range issues than you need to. Instead, consider placing your wireless router in a more centralized location. Many families commonly place their routers next to computer equipment in home offices. However, you can place your router pretty much anywhere in your home. With the average range of a wireless router at 150 feet, a centrally located router should be able to more effectively reach all parts of an average-sized home. In general, wireless technology of various sorts is only increasing. This means that you likely have multiple forms of wireless equipment sending signals throughout your home. If any of that equipment is operating at the same frequencies as your wireless router, interference is going to occur. If you believe there may be interference issues, turn off your other devices that are also sending out wireless signals, one-by-one. Check to see if there is a difference in the signal strength or range after you turn off each device. If you see a noticeable change after any device is turned off, you’ve found one of the culprits. Depending on your situation, your best option is to move your router as far away from the other device as possible, or preferably, relocate the interfering device. In general, it’s best to limit how many wireless devices you have going in your home at any one time. This tip is fully dependent on your wireless router. 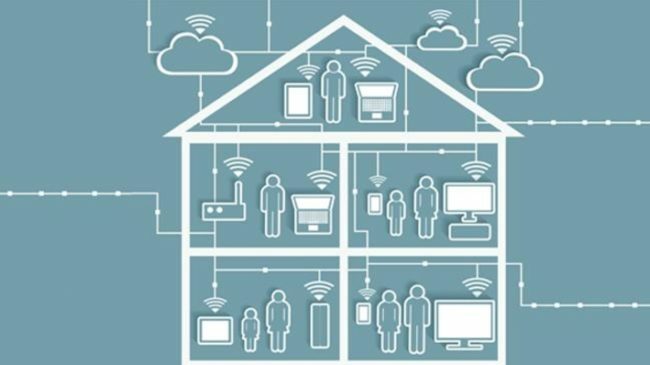 However, if you live in an apartment or in a dense suburban neighborhood, your wireless interference issues may be because of your neighbor’s’ Wi-Fi router. It may be difficult to determine if this is an issue. However, if you use any wireless device, such as a mobile phone or computer, you can check to see how many wireless signals are in range. The more devices in range, the more likely it is that a neighbor’s Wi-Fi equipment could be causing issues with yours. Changing your wireless router’s channel will allow it to operate on a slightly different part of the frequency band, clearing up the interference issue. How you go about changing the channel will vary by device and brand. Check your device manual or the manufacturer’s website to learn how to adjust the channel settings. Low signal and strength issues can be a problem with the applications and devices using your internet connection. Some activities, such as online gaming and streaming HD videos, can be significant bandwidth hogs. When those devices are using a large amount of your bandwidth, they can cause slow-downs for other devices that can have the appearance of poor signal strength. Try reducing the number of devices you have eating up your internet’s band at any one time. If you intend to stream high-quality video or play online games, try doing so without multiple devices running as well. You can automate this process somewhat if your router utilizes Quality of Service (QoS) methods. These methods automatically prioritize operations to help reduce connectivity and bandwidth issues. Check with your router manual or device manufacturer to determine if your device utilizes Quality of Service, and if so, how to adjust the device settings to make it work. 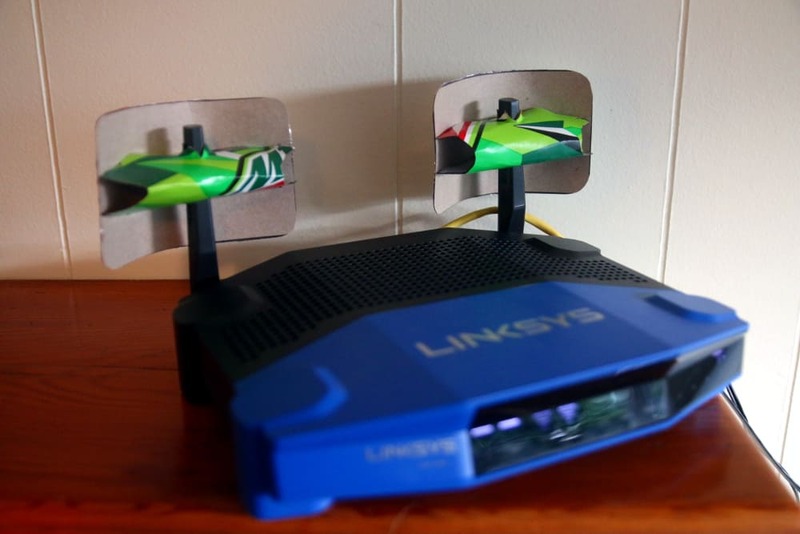 Certainly not a foolproof method, you can manage to squeeze a small bit of range out of your Wi-Fi router through some DIY methods using things like foil or aluminum beer cars. We also provide a detailed breakdown on how to make your own wifi extender. All wireless routers come with firmware (a type of software designed to help make your hardware work properly) pre-installed. However, some wireless routers are capable of running third-party firmware to enhance their capabilities. Perhaps the best of these is called DD-WRT. DD-WRT can help you boost your Wi-Fi signal by allowing you to better adjust your router settings and fine-tune the frequency channels. Additionally, you can use DD-WRT to unlock technical capabilities of your device, allowing it to draw more power, a key to boosting wireless signal range. (Note: adjusting how much power your router draws can cause the device to overheat. Investigate how much power your device can draw safely before using this method). Related: Best DD-WRT VPN providers. If you find that your wireless signal and strength seems to regularly degrade, resetting your router may help improve it. If you’ve already found that resetting your router improves connectivity issues, you can use DD-WRT to have your router reset on a regular schedule each day. Sometimes, what you really need is a booster. Signal boosters come in different shapes and sizes, but in general, are designed to increase the strength of your signal by relaying it through another device. Sometimes called “Wi-Fi repeaters,” these devices can be used to extend the range and strength of a weak signal. Netgear provides more information on boosters and repeaters. At the end of the day, few methods work better at boosting poor signal strength and range for wireless networks than investing in better hardware. If your wireless router is cheap or out-of-date, there’s a good chance many of the above methods may not work or may work to a very limited degree. Old routers typically use less efficient technology and may even develop technical issues, such as overheating problems, that result in poor signal strength. Meanwhile, cheaper wireless routers simply don’t have come packed with the technology to perform well in the long run, and generally, lack the power output for better range. Think of this as a “last-ditch” effort. Nevertheless, upgrading an old wireless router eventually becomes a necessity as wireless standards change and technology becomes better equipped to handle more receiving devices. If you’re like me, you don’t have a high-powered wifi router that even has antennae. 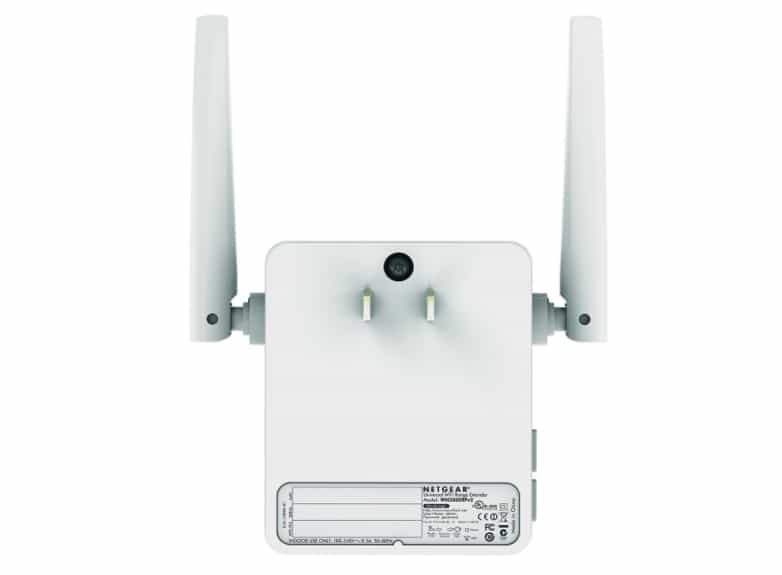 However, if you’re using one of the many routers available that do have such multiple antennae, adjusting their direction could help improve your signal. It’s easy to think that pointing your wifi antenna straight up was the right way of doing things. However, this is actually not the case in almost any situation. Instead, if you’re using a 2.4 GHz router, point them perpendicular, e.g., one antenna pointed vertically, and one horizontally, making an L shape. For 5 GHz, point them flat out or at a 45 degree angle for best results. A former Apple wifi engineer shared a few tidbits on Mac Observer. You can check out more details and a few more of his tips here. Meanwhile, you can find some interesting data on DSLReports from a networking professional who did a test using both frequencies. We earlier mentioned that there are several different wifi frequencies your router might be using, with 2.4 GHz and 5GHz bands being the most common. The frequencies you use can also have an impact on your wifi signal strength and range. It’s important to remember that wifi signals are simply radio signals. Higher frequencies travel faster, but have a shorter distance, while lower frequencies travel farther but slower. If you have a large house and you’re using the 5GHz band, there’s a good chance that relocating your router will definitely solve your problem. Meanwhile, if you’re using a 2.4 GHz router, your slow speeds may be due to the lower bandwidth available with 2.4 GHz routers. You may want to upgrade to 5GHz, which is much better for media streaming and heavy bandwidth usage.